The annoucement of a retirement for an employee being devoted for the organization during many years is certainly jovial, but it must be carried out all the same with caution and diligence. Indeed, the announcement of a retirement is often followed or carried out at the same time as the announcement of a nomination or sometimes of a reorganization structural of the company. In addition, the employee has certainly emotional ties with several other members of the team. Here another reason for which the annoucement of one departure to the retirement should not be impromptu. The annoucement must be organized correctly and diplomatically. When the person taking his retirement occupied a key position or direction, the impacts can be catastrophic for the organization which did not prepare and not set up a plan of changing. A retirement, that prepare, and not only for the employee.... The organization must set up the changing. The making of the responsibilities must be defined. The people designated to deal with the old tasks and responsibilities for the future pensioner must possibly follow adapted formation. It is also necessary to envisage the learning curve and to leave sufficient time for the transfer of knowledge. 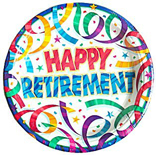 Various free examples of annoucement to the retirement are present to you in the present section. You can adapt to your situation from several of them. The drafting of letter of retirement, it is not quite complicated. Let go your imagination according to memories of the friends of the person who takes her retirement... To give you a blow of hand, take example on the letters below.